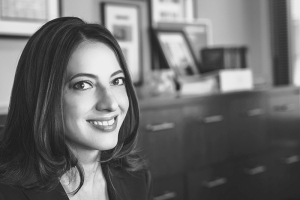 Lindsay Battles has dedicated her legal career to civil rights litigation, specializing in complex individual and class action cases arising from police misconduct, unconstitutional jail conditions, and wrongful conviction. Since 2009, she has worked on several §1983 wrongful conviction cases on behalf of individuals who have spent decades in prison for crimes they did not commit. Her efforts in O’Connell v. County of Los Angeles helped the firm achieve a $15 million settlement on behalf of a man who spent 27 years in prison for a murder he did not commit. Lindsay earned her J.D. at Northwestern University Law School in 2008. During law school, she worked as a law clerk for the ACLU National Drug Law Reform Project and the ACLU of Illinois on issues including conditions of confinement for juvenile detainees and discrimination against LGBT juvenile jail detainees. Lindsay also worked in the Bluhm Legal Clinic’s Children and Family Justice Center where she participated in an ABA-sponsored project examining school discipline from a human rights perspective and helped represent juvenile clients in delinquency and school expulsion proceedings. Lindsay is admitted to practice in all California state courts, the U.S. District Court for the Central District of California, and the Ninth Circuit Court of Appeals. She is a member of the American Bar Association, the Los Angeles County Bar Association, the National Police Accountability Project and the Women Lawyers Association of Los Angeles. O’Connell v. County of Los Angeles (2017) – represented Frank O’Connell who was wrongfully convicted and imprisoned for 27 years as a result of hidden, exculpatory evidence and fabricated information in police reports. The concealed evidence revealed serious deficiencies in eyewitness identification testimony as well as viable alternate suspects. The firm secured a $15 million settlement for Mr. O’Connell, and his son, who was four years old when his father was arrested. The settlement amounts to $555,500 per year, the largest per year award for wrongful conviction in California history. Loberg v. County of Los Angeles, (2017) – represented the family of a mentally ill man who jumped to his death in a Los Angeles County jail in 2014. Despite knowledge that the arrestee was severely, psychologically impaired, jail and mental health staff failed to provide critical psychiatric interventions and basic safety precautions. The case settled for $1.7 million, and triggered policy changes in the protection of inmates suffering from mental illness. Losorelli v. County of Los Angeles, (2015) – represented the family of a 23-year old man who committed suicide in a Los Angeles County Jail. The case settled for $1.6 million, and triggered substantial policy changes in the protection of those inmates suffering from mental illness who are in custody in the County of Los Angeles jails. Lisker v. City of Los Angeles et al. (2015) – represented wrongful conviction plaintiff who spent 26 years in prison for a murder he did not commit. The case settled for $7.6 million. Thomas Goldstein v. City of Long Beach et al. (2009) – represented plaintiff who was wrongfully convicted and imprisoned for 24 years as a result of detectives’ failure to disclosure disclose critical evidence concerning a jailhouse informant. The case settled for $7.95 million with the City of Long Beach and $900,000 with the County of Los Angeles, a first-of-its-kind recovery from the Los Angeles District Attorney’s Office. In re Deshawn Reed (2018) – won petition for factual innocence and statutory exoneree compensation for client who was wrongfully incarcerated for six years for a double-homicide of which he was innocent. Demonstrated that there was no reliable evidence supporting Mr. Reed’s conviction and substantial evidence that another person was responsible for the murders.